LONDON (Reuters) - British low-cost airline easyJet said on Friday it was ready to suspend the voting rights of a small number of shares to comply with rules that require 50 percent plus one share of the company to be owned by EU shareholders following Brexit. Airlines that will no longer be majority owned by EU nationals once Britain leaves the European Union face the threat of losing their right to fly within the bloc after Brexit due to share ownership rules, and airlines are having to spell out their contingency plans. EasyJet is in a less tricky position than some rivals, as it said its EU ownership, excluding British shareholders, had increased to 49.92 percent. But it remains below the required threshold, and it said its board was prepared to activate its plan to suspend shareholders' voting rights in respect of a small number of shares on a "last in first out" basis. The carrier also said that it expected to set a "permitted maximum" of non-EU ownership in due course, suspending the shareholders' voting rights if EU ownership fell below 50.5 percent. Like other airlines, easyJet has the power in its articles of association to restrict voting rights, and Ryanair has already laid out similar plans. As easyJet is already close to the 50 percent plus one threshold to comply with EU rules, analysts at Goodbody said that the contingency plan would be less dramatic for the carrier compared to some of its peers. 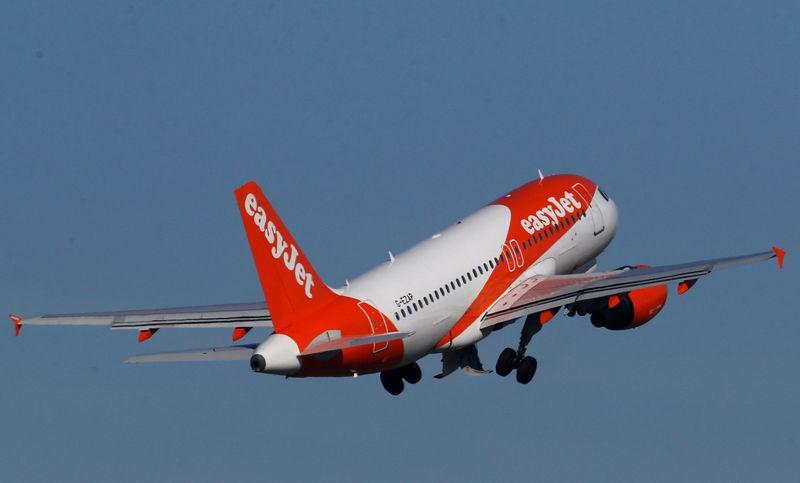 "This looks to be a sensible approach and one that is less onerous than many of its peers given its existing balance of ownership," the brokerage said of the easyJet plan in a note. Prime Minister Theresa May agreed with EU leaders on Thursday to delay Brexit until April 12 or May 22, depending on whether her deal is approved by parliament. The EU has said that airlines have two weeks after Brexit to submit plans for how they will comply with the rules, with a six month period to implement the plans. But, despite the grace period, the EU's top transport official Violeta Bulc criticised airlines for being slow to submit their plans for how they will comply with the rules in an interview with the Financial Times on Friday. She said British Airways owner IAG was yet to complete its contingency plans. IAG said it was confident it would comply with ownership rules after Brexit.